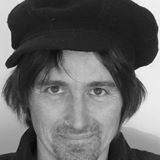 I worked as freelance journalist in London in the 90’s writing about alternative health and the environment, as well as in radio. I have been writing fiction for the last 12 years. American Crow is my fourth book and the first instalment in a new hard-boiled detective series. My passions are travelling and indigenous wisdom as well as theatre, music and Kayaking. The mystery of the story brewing inside and needing expression. The enjoyment of taking people on an imaginative journey and moving or inspiring them in some way. Firstly I have to go the location where my book is set. NOTHING replaces experiencing a place with all the senses and allowing the syncronicities that happen there from shaping your story. Secondly I write in layers gradually polishing a story up as I work through the drafts. Easy..ha ha. Yes I imagine that I’m in cinematic bubble shooting my story from all different angles and I work through each character in turn as if I was wearing their skin. Follow your intuition, be patient while you learn your craft and be proud of being a storyteller! Oh, and NEVER give up. I’ve been down the traditional agent and publisher route but decided to go indie to speed up the time on getting my finished work out to the reader. With a traditional publisher it can take over a year. Its bright but ever changing. There will always be a place for real paper copy especially in childrens’ books but I think the Ebook revolution will be growing and growing.